Opening Combination Padlocks is one of those books you love to own and one of those skills you love to know! 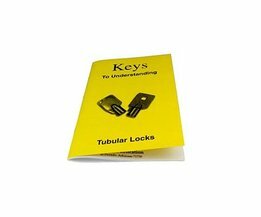 In 60 pages, with various illustrations and tables, Carl Black takes you through the various principles for decoding and opening combination Padlocks. 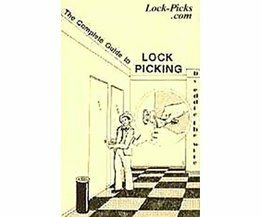 Although our other book Visual "Guide to Lock picking" contains a chapter on combination padlocks, this book takes the reader into further detail and provides more probability tables and a thorough discussion of the manipulation technique. 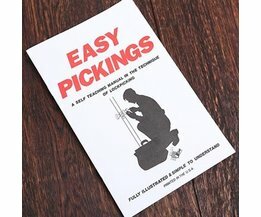 Subtitled 'No tools, no problem' this book is a real gem for anyone wanting to open combination padlocks both quickly and non-destructively. I would also recommend this book to anyone who is interested in learning about combination safe-cracking. With many similar principles, "Opening Combination Padlocks" is a good way to start learning about that very secretive world. Opening Combination Padlocks will fill you in on all the necessary physical and mathematical workings of such locks and with knowledge comes power the power to open combination padlocks with ease!